Downeast Maine is an overlooked gem. When folks think of Maine, it usually concerns the coast from the New Hampshire border up to Acadia National Park or the mountains of western Maine and Baxter State Park. Rarely do you hear much about the coast beyond the madness of Bar Harbor. The last few years my family and I have been doing more and more exploring up that way and it’s been a real eye-opener in the best way possible. 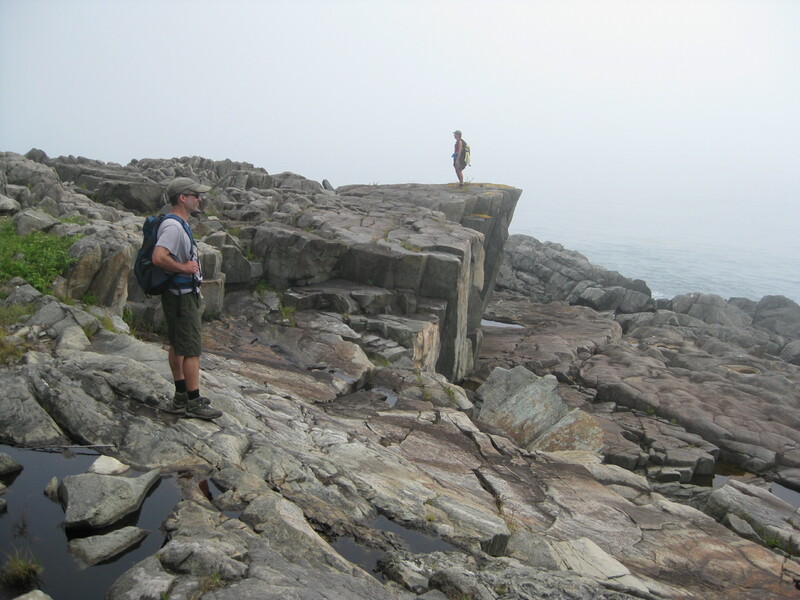 This August we spent a week in Harrington, an ideal base to get to the best hikes of Downeast. Known as the Bold Coast from Millbridge to Eastport, this stretch is the way Maine used to be. It really is like stepping back in time. And the best thing of all is the complete lack of crowds, we hardly saw anyone on the trails. 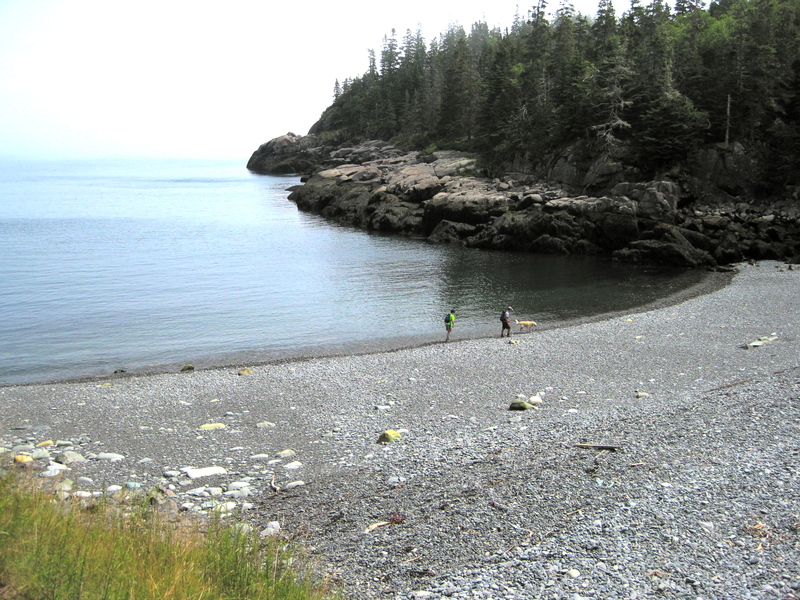 This is the first in a series of three posts about hikes on the Bold Coast. 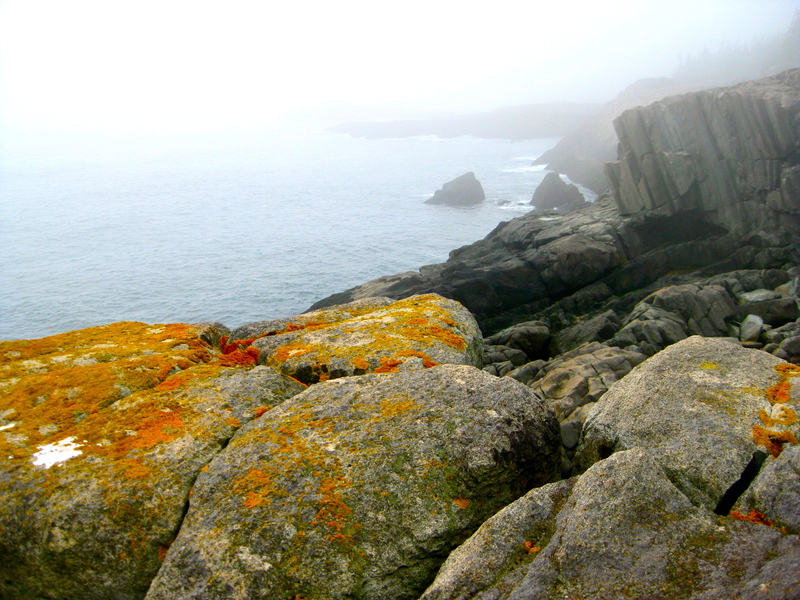 Called the Big Sur of the East, Cutler Coast is wild and staggeringly beautiful. A 10 mile loop includes 4.5 miles of trail that hugs the water, sometimes on top of cliffs a couple hundred feet high. 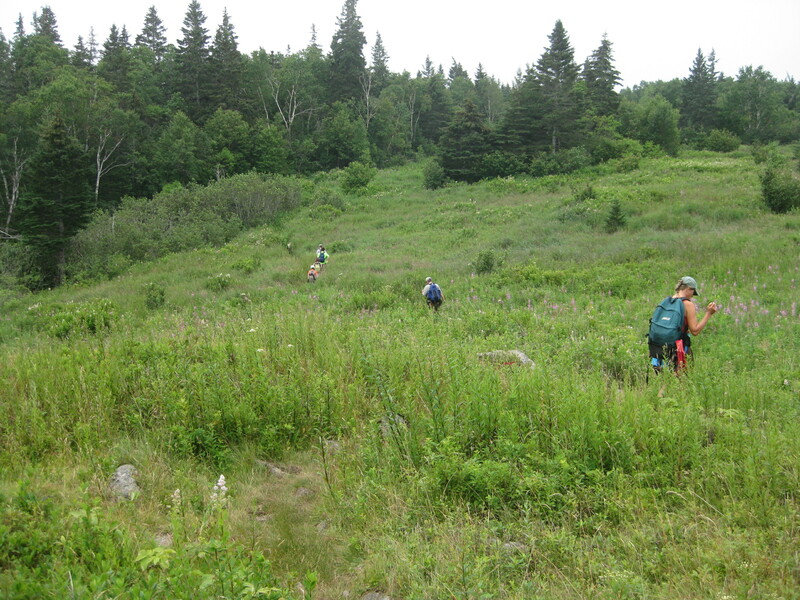 The remainder of the trail heads through spectacular meadows, swamps and groves. 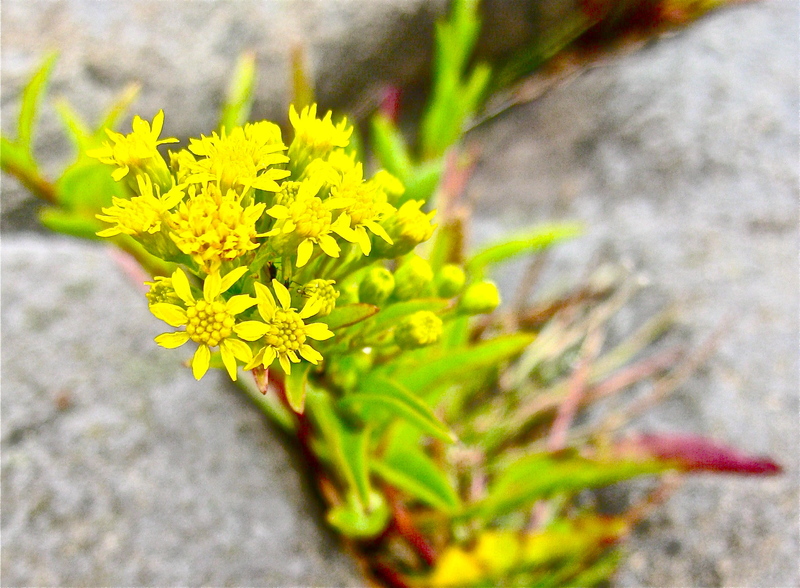 Wild flowers, birds—including Bald Eagles—and even whales are abundant. On my first visit here a few years ago we saw whales spouting just a couple hundred yards offshore. This year the fog was too dense to see the whales I knew were lurking out there. There is a shorter 4.5 mile loop if you aren’t up to the challenge of the full 10. So if you have kids there are options for most ages. Just keep close to the real young ones as several spots on the trail that are perilously close to the cliffs. Dogs are allowed as well but it’s a good idea to keep them on a leash near the cliffs unless they are exceptionally well trained. 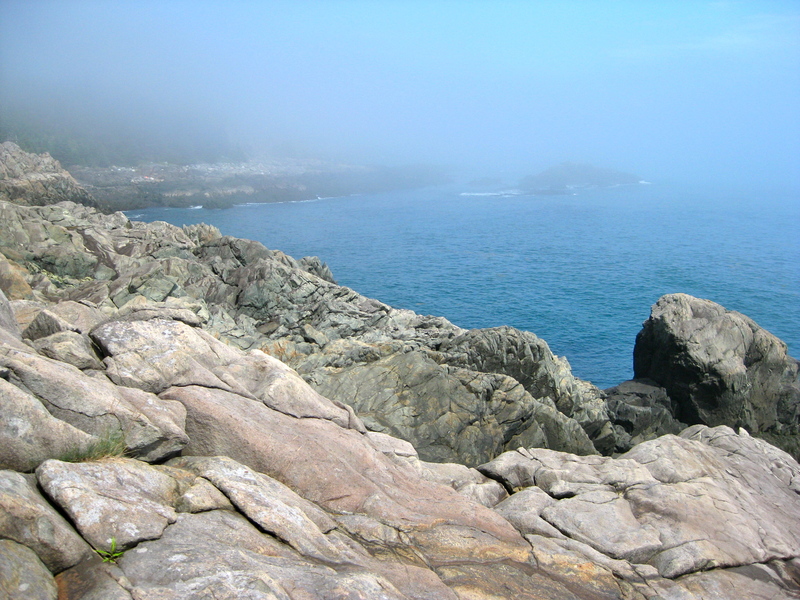 Between the cliffs are small coves and cobble beaches. The hiking is fairly rugged but never extremely demanding. There are even three primitive tent sites along the water if you want to stay overnight. The sites are small, to my eyes they looked like they would accommodate 2 people and one tent. They are on a first-come, first-serve basis and have no amenities. That means you carry everything out—yes, even THAT! Water availability is not reliable so you must carry it in, so it’s a pretty heavy load for an overnighter. But if you want to up the ante and make it a bit more burly trip, staying overnight is a good choice. Just where is Cutler Coast Public Reserved Land? It would be beautiful up there this weekend, Tracy!